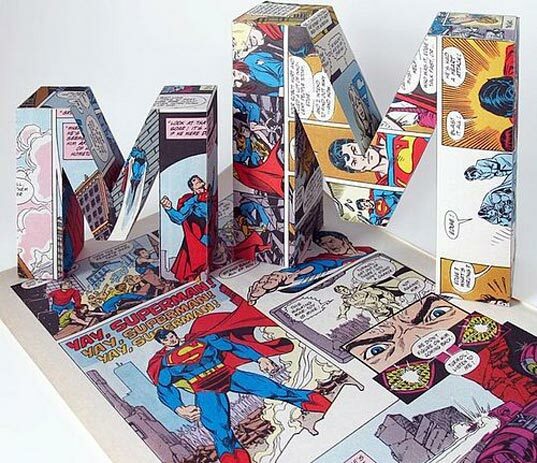 Comic books of yore have given way to video games and iPads, but you can still give your little Superman or Wonder Woman an appreciation for the entertainment of your ancient history via a 3D handcrafted comic letter in his or her initial. Each limited-edition, one-of-a-kind letter is made to order from original vintage Beano, Superman, Batman or Bunty comic pages, and bonded to 100% recycled cardstock. You may request a certain comic be used to fashion your letter. Just don't be surprised when your kid reads between the lines and says, "Holy Moly! This was what you did for fun?"